This 510toEgo adapter will guarantee any 510 or Ego atty to connect when using any VapeSling. Your VapeSling has a cradle to hold your Vape/Mod. It has a thickness of 0.8 mm (slightly less than a MM). However, this thickness creates a distance that may need compensation, as in an adjustable pin Atty or Mod. There are few atty’s and batty’s without adjustment pins in the market. When connection fails using a VapeSling, usually, your atty is the culprit, not the mod (ie. below). On the left is an adjustable pin mod. The most Ideal mod to use with a VapeSling. Its ability to raise and lower the distance between atty and batty is superb for slinging purposes. You can use any Atty to sling with this type of mod. On the right, is a standard Mod a floating pin. This a Sigelei 150watt. All mod types like this are very good for slinging. Most Atty will connect using a VapeSling. On the left is an adjustable pin Atty. The most Ideal ATTY to use with a VapeSling. Its ability to raise and lower the distance between atty and batty is perfect for slinging purposes. You can use any Mod 510 to sling with this type of Atty. On the right is a Static pin. These Atty may need an Vape Extender/Adapter, since it’s pin is stationary remaining unadjustable for any connection issues when using a VapeSling®. NOTE for Atty on right–> This type of Atty is unsafe with a Hybrid mod, as it may short circuit. Get Atomizers with adjustable pins, to avoid any safety issues with your mods. A protrusion, from a inner male pin, should always present at your atty 510 connector. Extends length of 510, thus guaranteed “atty to batty’ connection when using your VapeSling. extra Drip shield: further prevents e-liquid spills from dripping into the battery terminal. Easily add/remove atomizers of all kinds to all battery types without Sling removal. 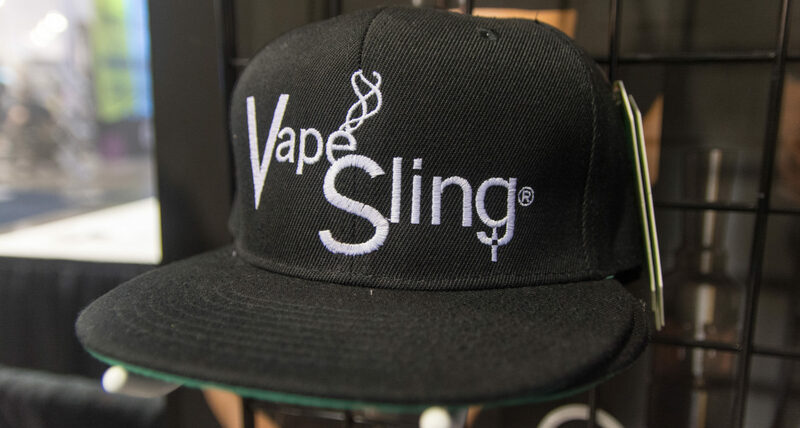 Egos and 510 attys can be switched out while your Vape/Mod stays attached to your VapeSling. Yes, your Vape Extender/Adapter is Guaranteed to connect your vape when using a VapeSling. If for any reason the adapter fails to connect, send it back for a replacement or refund. A Beauty Ring/Thread Cover for your adapter will enhance it’s appearance with a smooth shiny surface. Next PostNext Free Shipping for all U.S.